Before we start our weekly party I want to say how my heart aches for all those devastated by the horrific tornadoes this week. It is especially hard to stomach when children are involved. My prayers go out to all involved. There was lots of wonderful inspiration last week. Y'all truly are such smart and creative spirits and I learn so much and gather great ideas each week. Here are some features to inspire you. 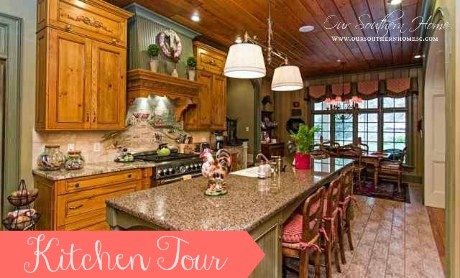 Fabulous French Country kitchen shared by Our Southern Home. Old Things New hand painted this design on her walls. She also shares how. Involving Color answers questions about her now sew roman shade. I love the fabric. 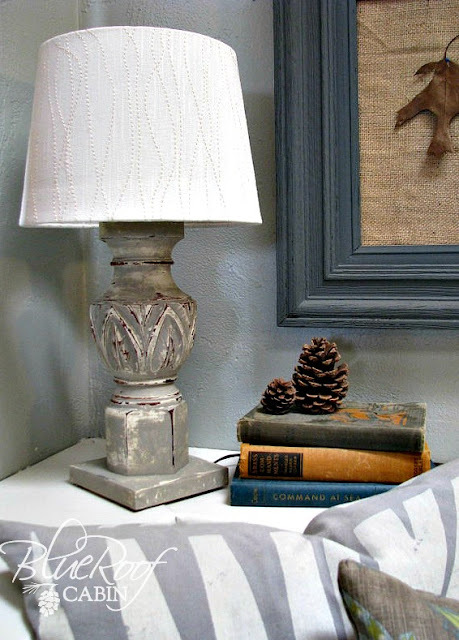 You must see what this lamp was repurposed from. Such a smart idea shared by Blue Roof Cabin. A Delightsome Life shared her friend's garden party she attended. So many great ideas can be found. Sweet Chaos shows off her kid's bathroom reveal. You should check out the before. Love the planked wall. 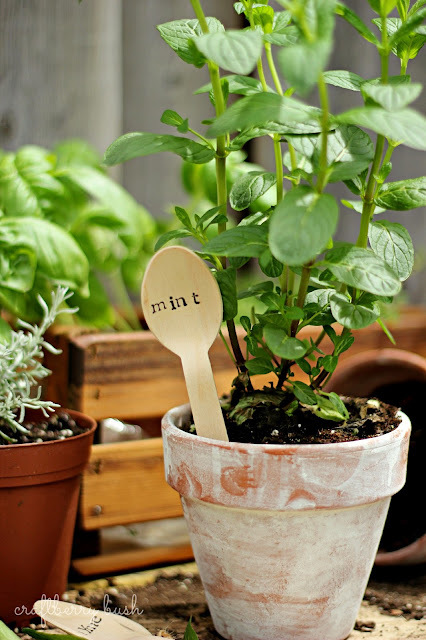 Cute wooden spoon herb markers were created and shared by Craftberry Bush. 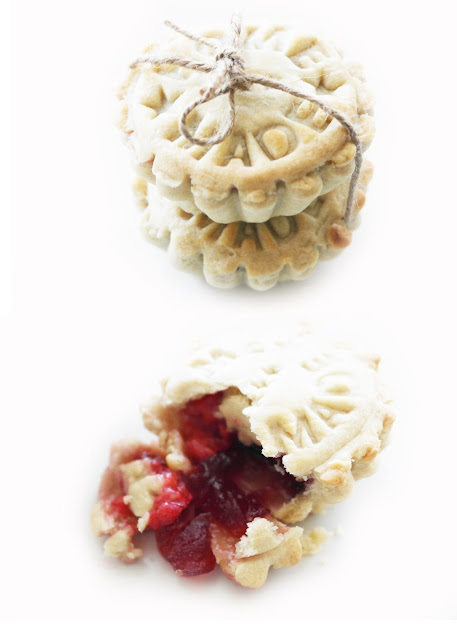 Twigg Studios shares these raspberry mini pies. I love how they are stamped. Thanks to everyone who joined last week. If you were featured please feel free to grab a featured button from my sidebar. Good stuff, Kim! Thanks for hosting! Thanks so much for the party. Love the features! Kim, your features are wonderful! Each one is so unique! I always enjoy following the links, there is so much inspiration! Thanks for hosting! Oh, my gosh! Look at that cute kid's bathroom. Thanks for hosting the party again this week! Great features Kim as always. Thanks so much for hosting. Thanks for hosting, Kim. Hope you have a great Memorial Day Weekend! Great features! Thank you for hosting! Enjoy your week! Thanks soooo much for the party Kim! Have a great evening! Kim I join you with prayers and thinking of everyone in OK. Such a horrible disaster. Lovely features, thanks for hosting. I spent this evening catching up with your posts Kim. Lots of gorgeousness! Kim, thanks so much for featuring my no sew roman shade, and thanks for hosting! My son and I were talking about the tornadoes earlier. It's hard to even fathom. An entire community and all of those precious little children. It is so heartbreaking and the scope and wrath of that tornado is surely a result of climate change? Thanks again for hosting your wonderful party, Kim! Thanks for the inspirational Wednesday Kim, and your thoughtful words for the storm victims,it feels trivial to be doing these normal things today. Great features Kim. Missed a couple of those and will have to visit them. Thanks for hosting. Thanks Kim, for hosting this wonderful Party! Super features this week. Thank you so much for hosting. Wishing you a wonderful week! Kim, Thank you for being a gracious hostess each week :) Beautiful features - so much inspiration! Thanks for hosting a wonderful party each week. As always Kim, thank you for hosting!!! Great feature choices Kim. Thank you for hosting again this week. My thoughts and prayers are going out to the people of Oklahoma too Kim. Incredible features, Kim. I especially love Our Southern Home's kitchen! I have family members that live in Oklahoma near OKC, but fortunately they are all ok. My heart goes out to those who lost loved ones! great features, thanks for having us, Kim! Hi Kim, YOu really have some must-see features this week. Wow! I'm # 178! Lots of great inspiration going on here!!! Now I'm off to visit! Thanks for hosting Kim...it's not Wednesday without your party!! The situation in Oklahoma is just heartbreaking. I can't bear the thought of those poor children. Praying for everyone affected. Thank you for the feature, Kim. Thanks for hosting again Kim. My heart just breaks for those poor people in Oklahoma. Always the best party Kim! Thanks! Thank you for hosting Wow Us Wednesdays' link party. I always find so many great posts that give me new ideas. Thank you for hosting this. I appreciate it! Love the idea of the cute little spoon garden marker. Thanks for hosting, Kim! Those raspberry pies are TOO cute! Great features Kim and Thanks for hosting. Hi Kim - Again, always look forward to seeing all the great stuff. Thanks for hosting. Loving the French Country Kitchen you featured. Looks like lots of wonderful links this week. Thanks for hosting. Beautiful and inspiring as always-thank you so much! Thanks so much for hosting every week, Kim! What a wonderful place to link up. Have a great day! Hi Kim, all of the features are great. Thank you for hosting such a fun party. Have a great day. Hello Kim....I'm so happy to be back to share something at one of your parties. As always, your "picks" are wonderful. Thank you for hosting! What great features! Thank you so very much for hosting. Happy Memorial Day. Thanks so very much for hosting! Have a wonderful weekend! Thanks, Kim!!! I really appreciate the feature today for my French Country kitchen! Have a great week! Stopping back to share my new front door wreath...just couldn't wait 'til next week! Kim, just now getting back to leave a comment. Blogger was not friendly to me earlier today. Ha! Thanks for hosting this great party. So much inspiration every week. Thanks for hosting, Kim, love that kitchen! Thanks for hostessing the party, Kim! Thanks for the party - I'm late - but better late than never right? 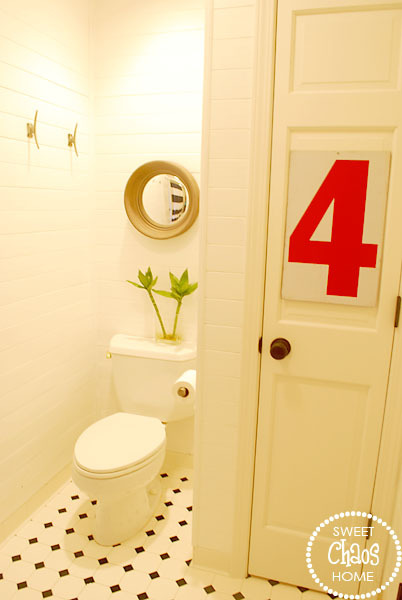 ;) Loving that made over bathroom - wow - those planked walls are awesome!